On the town with the latest sensation they call Rochester! This dapper fresh face is dressed to the nines and ready for action! Inspired by elegant calligraphic forms from the early age of Victorian and Art Deco, Rochester is the perfect selection when you want to add a touch of class or a smart looking formal style to any correspondence or memorandum! 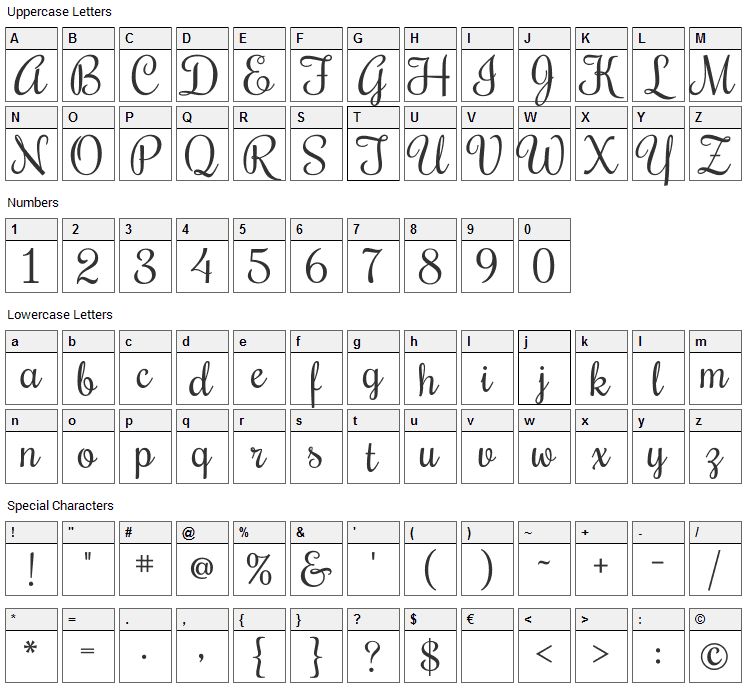 Rochester font contains 226 defined characters and 185 unique glyphs. 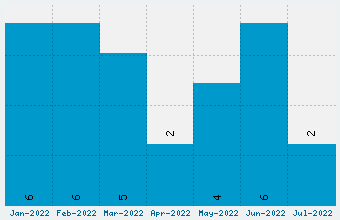 The font contains characters from the following unicode character ranges: Basic Latin (93), Latin-1 Supplement (95), Latin Extended-A (10), Spacing Modifier Letters (8), General Punctuation (14), Currency Symbols (1), Letterlike Symbols (1), Mathematical Operators (1), Alphabetic Presentation Forms (2). Rochester is a script, calligraphy font designed by Sideshow. The font is licensed under Apache License. The font is free for both personel and commercial usages, modification and distribution. In doubt please refer to the readme file in the font package or contact the designer directly from profiles.google.com. 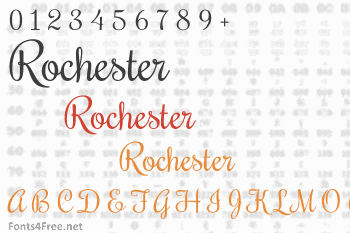 Rochester font has been rated 5.0 out of 5 points. A total of 1 votes cast and 0 users reviewed the font.